Need to sell your house fast? We buy houses in Rosemont and all across Illinois. Cash For My House is one of Illinois’ most respected ‘we buy ugly house’ companies. Don’t worry if your house is in need of repairs or cleanup. We buy ugly houses, we buy old houses, we buy new houses… we buy ALL houses. Don’t spend your own money on repairs, renovations, remodeling or clean-up. Let us purchase your house, regardless of condition. We will pay all-cash for your Rosemont, IL house, and can close in as little as 7 days (sometimes we can even have cash in your hands the very same day!). We are actual home buyers who purchase properties with our own cash; this allows us to make you an offer on the spot and to close quickly. We promise a hassle-free and transparent process with no fees or commission. Let us make you a no-obligation, all-cash offer. All you have to do is fill out our easy online form. If you are looking to sell a Rosemont, IL home quickly, we would like the opportunity to make a fair offer on your house. We can have an offer in your hands within 12 hours. Call us today at (773) 825-6066 or click here to sell now. WE BUY HOUSES ROSEMONT, IL IN “AS-IS” CONDITION, CAN PAY TOP DOLLAR AND CAN CLOSE ON THE DATE OF YOUR CHOICE! IN ANY CONDITION-ANY SITUATION-ANY PRICE RANGE. WE BUY HOUSES ROSEMONT. 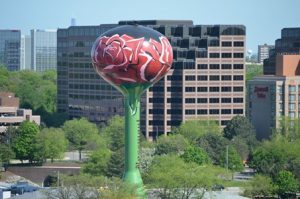 SELL YOUR ROSEMONT, ILLINOIS HOUSE NOW.